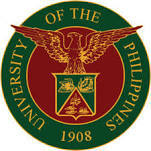 The University of the Philippines (UP) is the country’s national university. This premier institution of higher learning was established in 1908 and is now a university system composed of seven constituent universities and one autonomous college spread throughout 15 campuses in the archipelago. As of 2012, the UP System’s student population was at least 57,000.